The hospitality industry stands to benefit greatly from our farm design and consultation services. Most hotels have enough unused space to start an urban farm, allowing them to serve their clients the freshest ingredients possible. A huge benefit for hotels is cutting the high costs of specialty herbs and vegetables, which enables chefs to provide sustainably grown, hyper-local produce at a more reasonable price to the consumer. Farm Consultation – We will assess your site, then recommend the best urban farming solution based on your unique circumstances and environment. No-Stress Installation – Never farm alone! We install all of our client’s technology personally, eliminating the risk and hassle for all of our urban farmers. Comprehensive Farm Care – Farming can be hard. Let us do the work for you, and enjoy abundant harvests (almost) all year long! Disaster Response – Sometimes things go wrong. Don’t worry! We’ve got your back, day or night. 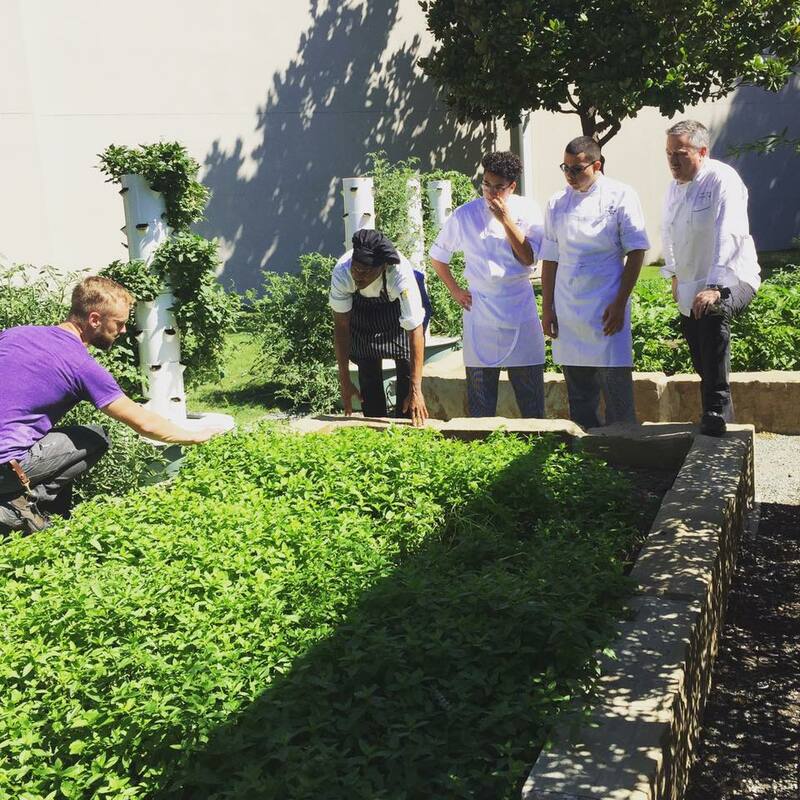 Hotels are beginning to recognize the incredible value of locally grown, hydroponic produce.